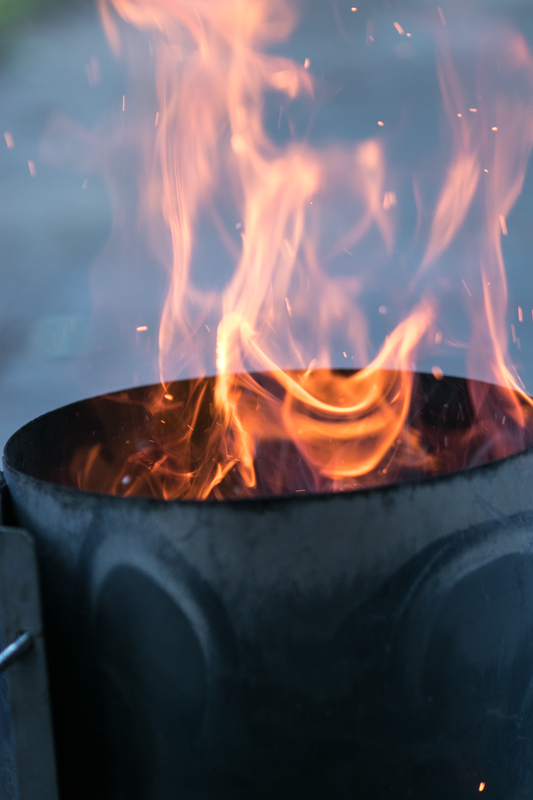 The problem is, of course, that a true wood fire can take hours to break down into the type of glowing coals needed for grilling. 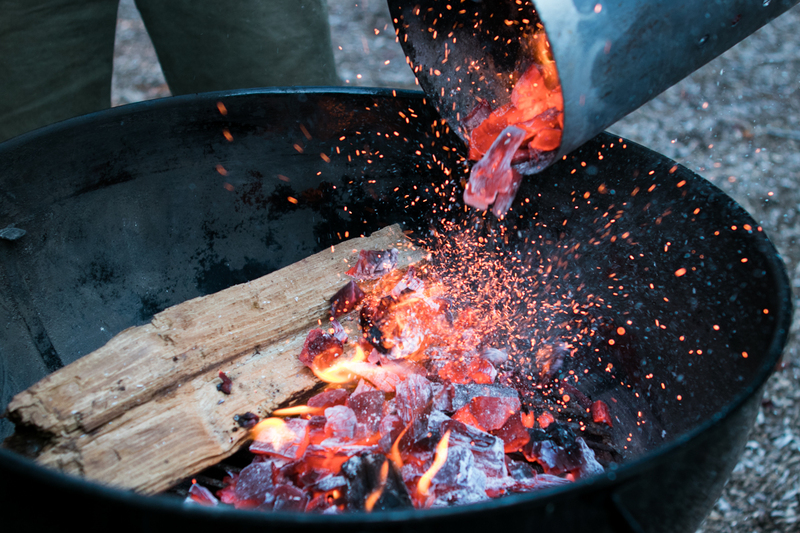 This is why we farm out the process to charcoal-producing operations in the first place: those black chunks of carbon are pre-burned without oxygen, thereby allowing you to skip the first 75% of the process, and just get cooking within 20 minutes or so. 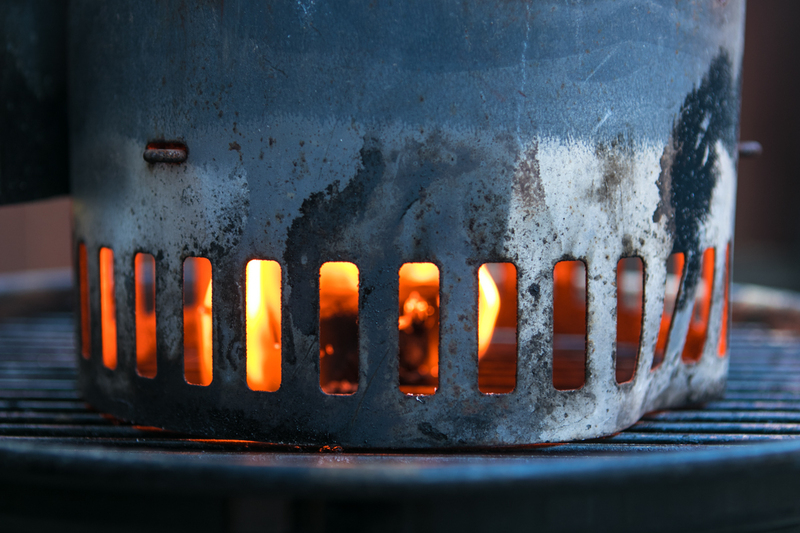 So, here's our vote — simply make the best of both worlds with a "dual fuel" technique: combine the consistency of charcoal with the smoky goodness of burning logs, and your food will be that much better in the process. Here's how to do it. 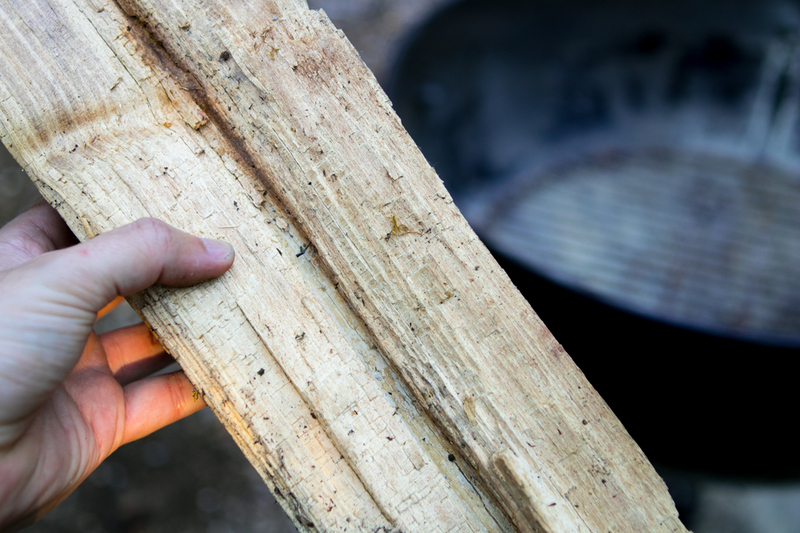 While they're getting toasty, select a hardwood log from your woodpile. This can be anything that's not a softwood like fir, pine, spruce, etc. Some favorite species include: maple, apple, oak, alder, cherry, pecan, and hickory. Make sure it's sized to fit inside your grill. 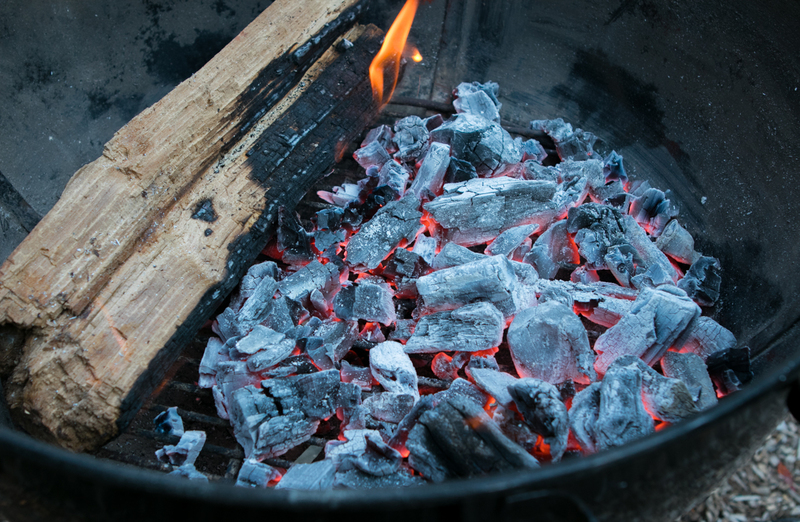 Once the charcoal has heated up so that there's an even layer of white-grey ash (about twenty minutes), dump them into one side of the grill. Then place your log about one-third of the way over, piling up the coals as it settles in. 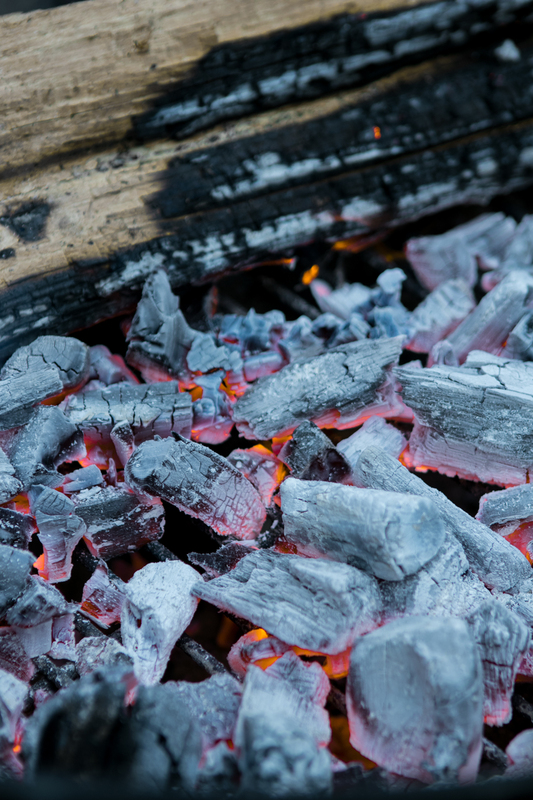 Note that the log never really "flames": it just lies there, tucked into the coals, slowly blackening and becoming toasty and coal-like in its own right over time. If flames do pop up, squelch them...it's bad flavor. Move the food over to one side while they die down. Really...that's it. Solid heat. 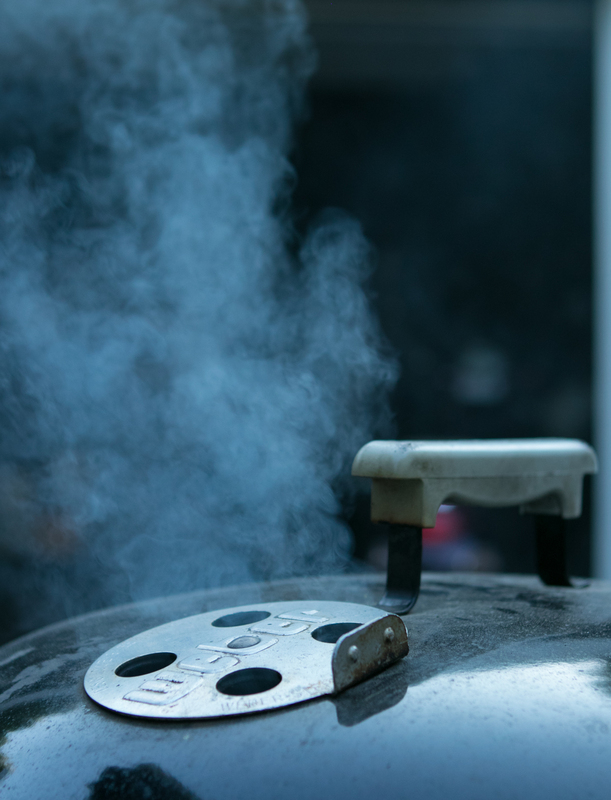 Legit wood-fired flavor. And that's what summer is all about.